This posting is locked only for district employees, in order to apply, you need to provide a password and click "Submit". Important Note: This password is NOT your EDJOIN password. This password must be provided by the HR department at the district you are applying to and cannot be provided by the EDJOIN Help Desk. You must be logged in to apply for this job. In order to login in please enter your username and password below and then click the red Login button. If you do not have a login please Click Here to register for one, thank you. In order to login in please enter your username and password below and then click the red Login button. If you do not have a login please Click Here to register for one, thank you. Fill out the form below to create a new account. Please do not use your email address, special characters or spaces in your username or password. Type your username or email address in the box below and click "Send" to have your login credentials sent to the email address in your profile. Please enter a username or email address. We found multiple accounts associated with this email address. Please contact our Help Desk for assistance. No valid email address associated with username provided. Please contact our Help Desk for assistance. Username / Email not found in the system. Please contact our Help Desk for assistance. APPLICATION DEADLINE:: Subject to close without notice if a sufficient qualified pool has been established. Serve as the program head for all levels of the athletic setting. Provide the direction and vision for the athletic program. Recruit and supervise staff for all sport levels with emphasis on experience, responsibility, and communications. Develope and communicate a team strategy; provide instruction for student athletes in the consistent execution of the team strategy. Complete game planning and film review in preparation for competition. Establish off-season weight training/conditioning program. Set fundraising goals and priorities with emphasis on transparency, communication, and creativity. Supervise student athletes in all activities. Establish excellent communication with BPUSD officials, administrative staff, alumni, and parents of the student athletes in support of the school mission and vision. Subject to close without notice if a sufficient qualified pool has been established. 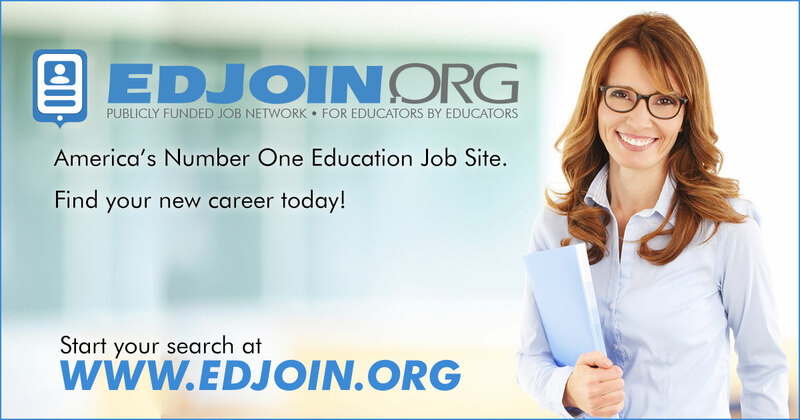 EDJOIN is the number one education job site. Find your next great job today. For your safety and protection, your session is about to expire. If you wish to continue your session, please click OK.